What is Geranium Oil ? 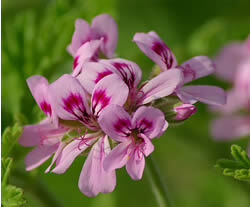 Geranium essential oil is steam distilled from the leaves and flowers of the plant. Geranium has a powerful green and sweet floral scent that carries a rosy overtone. It is often used as a substitute for rose absolute which is more expensive. Geranium oil has the properties that makes it effective in calming nerves and uplifting the spirits. Geranium oil is often recommended for hormonal conditions such as menopause, PMS, and breast tenderness. It has a strong antifungal agent effective against fungus infections like Candida albicans and it does not disturb bacterial flora. It can even be used against head lice, and in the garden against insects. It blends well with bergamot, ginger, clove, clary_sage, cypress, palmarosa, jasmine, sandalwood, patchouli, peppermint, rosemary, ylang-ylang, grapefruit, and other citrus oils. Geranium oil is valued in skin care due to its cleansing properties. Put a few drops in your facial oil to cleanse pores and give a warm glow to your skin. 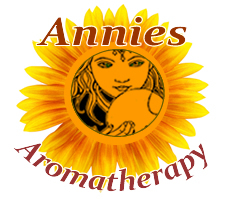 It is also a wonderful addition to baths, or to blend and diffuse in aroma lamps. Botanical Information - Rituals & History : The plant commonly called geranium in aromatherapy is actually a Pelargonium, originating in South Africa. The plant grows to about 2 feet in height, with serrated leaves and small pink flowers.